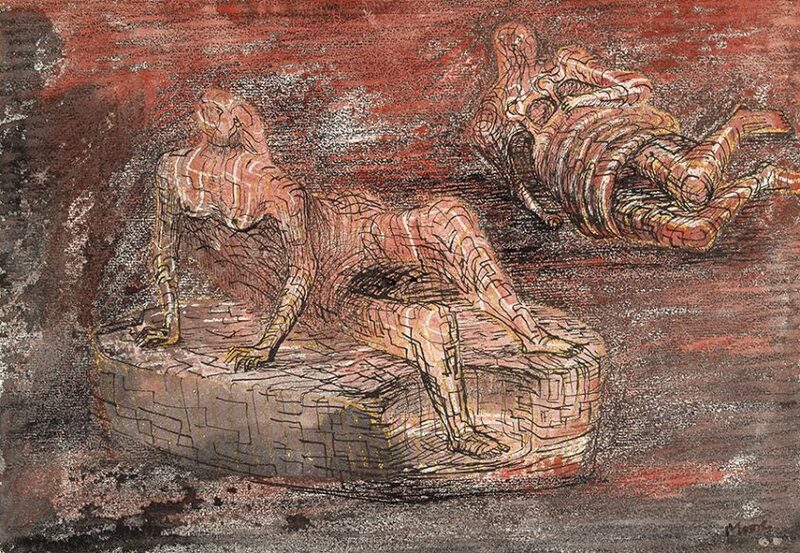 Henry Moore (1898 – 1986), Two Reclining Figures, 1946, pencil, watercolour, pen, ink & wax crayon, 25 x 35 cm, acquired 2006. 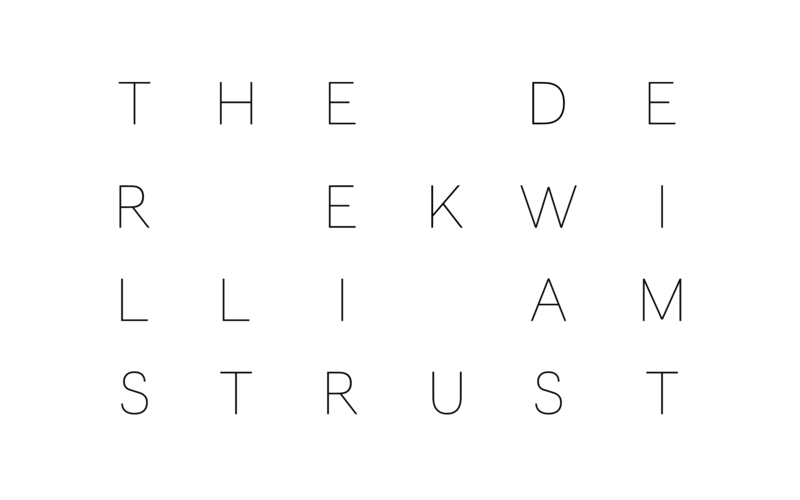 © The Henry Moore Foundation. 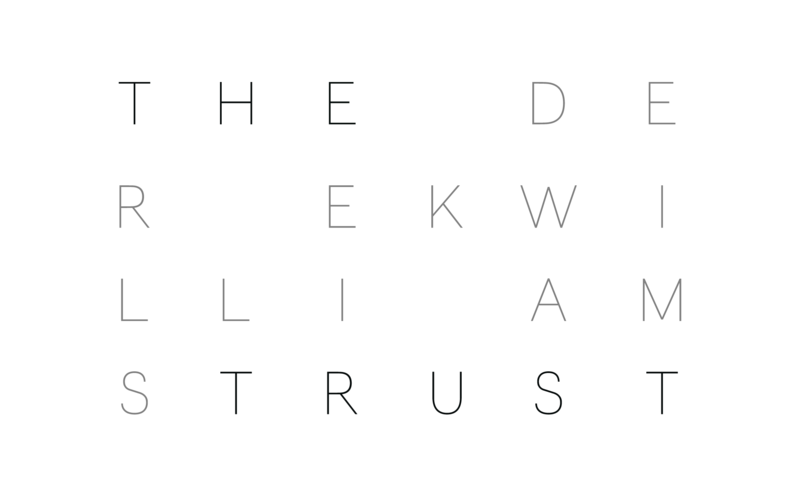 All Rights Reserved, DACS www.henry-moore.org 2017. 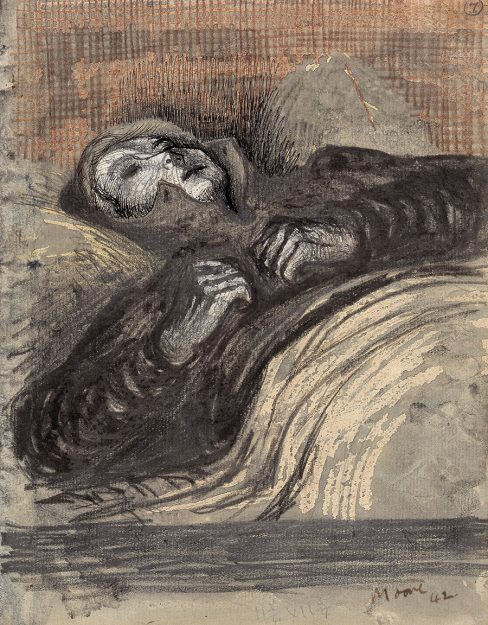 Henry Moore (1898 – 1986), Sleeping Shelterer, 1941, pen, wax crayon, watercolour wash, pencil & ink, 22.5 x 17.5 cm, acquired 2006. 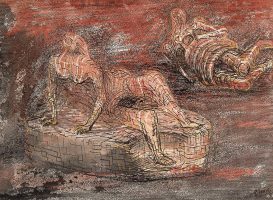 © The Henry Moore Foundation. All Rights Reserved, DACS www.henry-moore.org 2017. 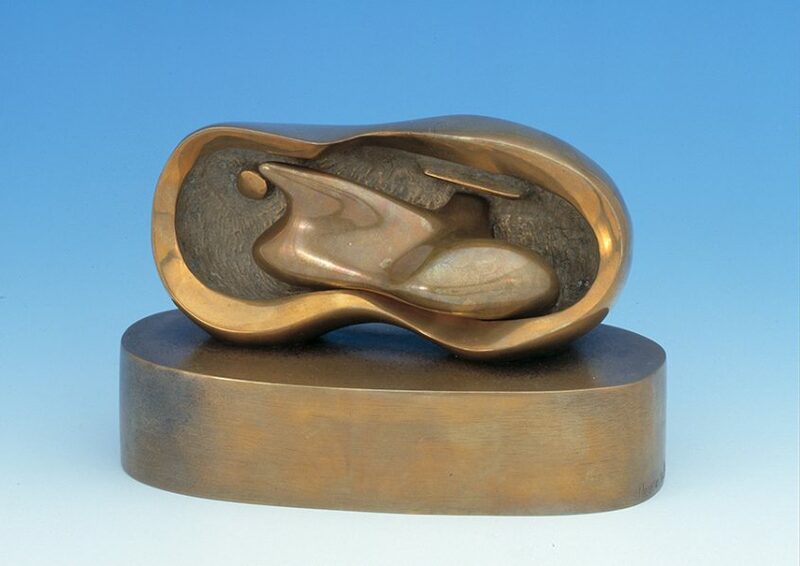 Henry Moore (1898 – 1986), Maquette for Reclining Interior Oval, 1965, bronze, 12.5 x 20.3 x 9.4 cm, acquired 1968. 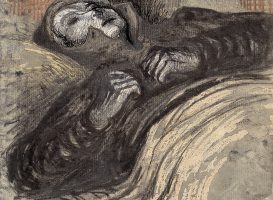 © The Henry Moore Foundation. All Rights Reserved, DACS www.henry-moore.org 2017..